There was a lot going on in Cuban affairs this year, what with the two-steps forward and one-step back rhythm of what I like to call Raúl Castro's economic mambo. 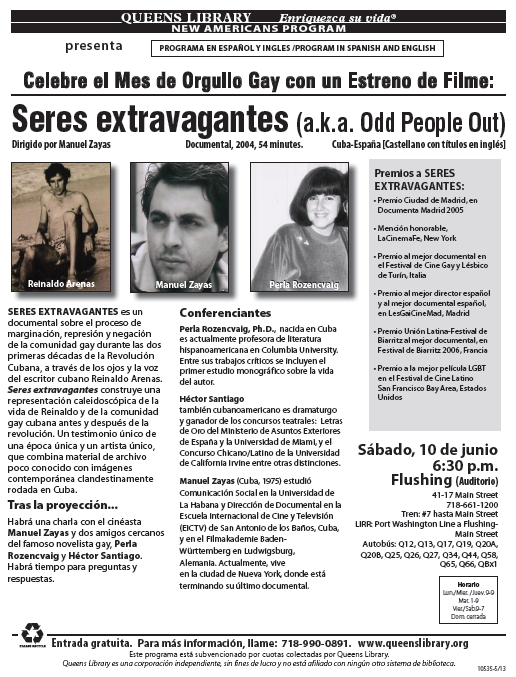 the first ever foreign travel of tens-of-thousands of Cubans, including nearly all the leading dissidents and bloggers. Benvenidos - que regresen pronto! Orlando Luis Pardo Lazo, Yoani Sánchez, Eliécer Ávila, Yasmín Portales Machado, Elaine Díaz Rodríguez, Yudivián Rodríguez Cruz, Armando Chaguaceda, Abel Sierra Madero, Nora Gámez, Manuel Cuesta Morúa, Leonardo Calvo, Juan Antonio Madrazo, Rafel Campoamor, Roberto Viega, Lenier González, Antonio Rodiles, Alexis Jardines, Amelia Rodríguez, Veizant Boloy, Laritza Diversent, Karina Gálvez, Rosendo Romero, Yociel Marrero, Wendy Irepa, Ignacio Estrada, Raduel "Eskuadrón Patriota" Collazo Pedroso, Los Aldeanos (Aldo and El "B"), Obsesión (Mágia and Alexis), Omni-Zona Franca (David Escalona, Amaury Pacheco, and Luis Eligio Pérez), Julio César González Pagés, and Pavel Vidal and Yenly Machado. Note: A traveler's inclusion on the list above should not be taken to imply anything about their ideological leanings or agreement with my own pinko views - but I do consider everyone listed a friend and colleague. Earlier this week, the AP put out an article on self-employment in Cuba entitled, "Lack of Customers Dooms Many Cuban Businesses,"(Spanish version in El Nuevo Herald here). The article reported on follow-up visits their team of reporters did with a number of cuentapropistas whom they had first interviewed 3 years ago in 2011 (go here and here for previous articles in the series). I was proud to be interviewed and quoted in the article along with the sharp, young Cuban economist Pavel Vidal Alejandro - who now teaches at the Universidad Javeriana in Cali, Colombia and is a visiting scholar this winter at Columbia University in New York City. Below is an interesting and provocative note I got from a reader about the article. I read in the paper that you were writing a book on private enterprise in Cuba. I will be curious to read it. 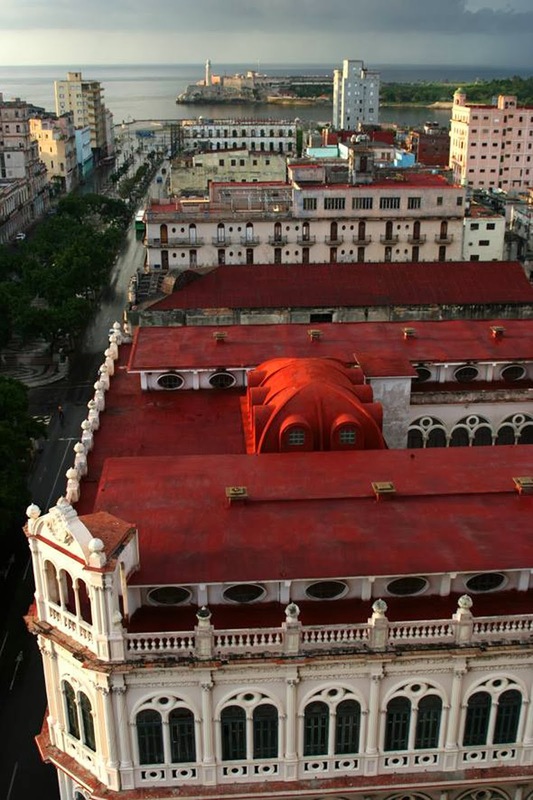 The property rights situation in Cuba. This begins with the confiscation of property beginning in 1959 (“uncompensated expropriations”). It is the white elephant in the room. As you know, in Cuba all transactions are in cash (which you correctly point out is lacking) largely because there is no credit. There is no credit because there is no secure collateral. There is no secure collateral because there is no clear title to any property. I was an invited speaker this April at the quadrennial Neurosurgery Neurology and Psychiatry meeting in Havana (I am a neurosurgeon and my father, an American trained Cuban neurosurgeon, was widely considered Cuba’s premier neurosurgeon and the father of “modern” Cuban neurosurgery). I had a very interesting and enlightening conversation with a Cuban entrepreneur who ran a private car service with a few other Cubans (with actual authentic American cars). He was doing very well and quite happy. However, he was worried. The bottom line was he feared that "cuando el gobierno ya no les conviene, me quitan todo”. That is, there will be capricious criminalization of his activity to justify the confiscation of his assets. There were no laws or precedents to protect him and the “wealth” he had created. He couldn't deposit money in the bank (like all Cubans, he under-reports his income) or spend it conspicuously for fear of the government. He worries other Cubans will not be so careful. He gets it. Why most Americans don’t is a mystery. I gave him the history of property expropriation in Cuba and it dawned on him that he has the same protections from the government my antecedents had: essentially none. Ironically, if these claims are treated fairly, he would receive the best insurance any business can have: protection through the rule of law. Settlement of the outstanding claims is the single most powerful economic stimulus the Cuban government can institute. As luck would have it, Cuba is so broke (bankrupt, actually) that the only way to do so is reconciliation through restitution with the exiled diaspora. They have a great opportunity, but are too proud to take it. The taxista found God, so to speak, that night. How the property claims are settled will directly correlate to the strength of the Cuban economy and civil society. Sorry for going on and on. Best regards and Happy New Year. "Lo cortés no quita lo valiente" - entre apretones y palabras! See video at NYT here. There's an old Spanish saying: "Lo cortés no quita lo valiente." I for one like Obama's style. First he shakes hands with Raúl (lo cortés). Remember, Raúl and Obama are two of the just three or four six foreign heads of state explicitly invited by South Africa to speak at Mandela's funeral service. And both of them were invited to speak for very clear and justifiable historical reasons. (H/T to Phil Peters for the correction and his own pair of excellent posts here and here on the handshake affair). 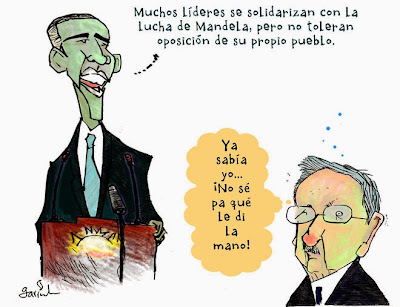 "There are too many leaders who claim solidarity with Mandiba's struggle for freedom but do not tolerate dissent from their own people" (lo valiente). A picture may be worth a thousand words, and the above picture is generating thousands of words, tweets, and Facebook discussions. But one should listen to his words as well! Followed by Raúl's comment: "I knew it. Why did I shake his hand!" The handshake was a show of class to one of the other invited guest speakers at the funeral of a man being remembered (among other things) for being able to constructively engage in dialogue and negotiation with his adversaries. He was not "bowing down" to the relatively short Raúl, as some have ridiculously suggested. The real story is the handshake combined with what Obama said for the whole world to hear later in clear reference to Cuba and other similarly repressive governments. If this is a hint at how Obama would engage and negotiate with Raúl in some not to faraway future, bring on the talks! "It is only through dialogue and cooperation that discrepancies can be resolved and civilized relations established between those who think differently." He said these words just as his own government unleashed a wave of arrests and detentions back home in Cuba against scores peaceful demonstrations on the 20th anniversary of the United Nation's adoption of the Universal Declaration if Human Rights. For a very perceptive analysis of the handshake AND the speech see Marc Caputo's column in the Miami Herald. Caputo's article also includes the entire text of Obama's speech - the video of which you can see here. By the way, Caputo's fine reflection also inspired some of what I wrote above. (H/T to Ric Herrero of the Cuba Study Group who turned me on to that article). You can listen to Raúl's entire speech here. For my money, while it reflected an understandable pride in Revolutionary Cuba's past steadfast support of Mandela's anti-arartheid struggle (while the U.S. either looked the other way or supported the other side! ), the speech was also delivered in an off-putting, party-line, and unnecessarily militaristic manner - but then again - it's Raúl. Those of you who follow me on Twitter @ElYuma will already know that just over a month ago ABC-CLIO published a new book about Cuba, called Cuba in Focus, that I am proud to have co-edited with Miriam Celaya and Dimas Castellanos. In 2008, I wrote a book entitled Cuba: A Global Studies Handbook, also published by ABC-CLIO. However, when they approached me three years ago wanting to do a new edition, I responded that I had already said my piece on Cuba but that I would be interested in recruiting and collaborating with a group of Cubans from the island to do a new volume that would give voice to their own analysis of the Cuban Revolution and the heady changes (from above as well as from below) that have taken place there in the last five years. This volume is the result! Starting young with Uncle Ted! We benefitted from the collaboration of a host of perceptive and pioneering authors and activists, most of whom actually live on the island today. A full list is below in the table of contents, but some of the more notable writers included in the volume are the late Óscar Espinosa Chepe, his wife Miriam Leiva, Yoani Sánchez, her husband Reinaldo Escobar, Armando Chaguaceda, Regina Coyula, Henry Constantín, Marlene Azor Hernández, Rogelio Fabio Hurtado, Miguel Iturria Savón, and Wilfredo Vallín. Of course, Dimas and Miriam did their share of stellar writing as well. Each of the book's seven chapters is made much more vivid and memorable by the breathtaking photojournalism of Orlando Luis Pardo Lazo, supplemented by photos by Tracey Eaton, Luzbely Escobar, and Uva de Aragón (all provided complementary). You can learn more about the book and purchase your very own copy here and here. What follows are the book's PREFACE, ACKNOWLEDGMENTS, and TABLE OF CONTENTS. "Toward a New Civil Society"
I love to go to New Orleans and I'm returning for a visit over the next few days. However, while I'm in the Big Easy, I'll miss out on this very timely and provocative symposium at NYU featuring a group of the best and brightest young Cuban intellectuals. If you are in the City, don't miss it! "Cubans in Movement: Toward a New Civil Society," will gather together scholars of various disciplines to discuss the limits of the changes initiated by the Cuban regime as well as focusing on the changes detectable in the thought and art of today's Cuba. "Cubanos en movimiento: Hacia una nueva sociedad civil", reunirá a estudiosos de diversas disciplinas que discutirán las limitaciones de los cambios promovidos por el régimen, así como las políticas de cambio detectables en el pensamiento y el arte en la Cuba de hoy. This afternoon blogger, activist, and soon-to-be digital newspaper publisher Yoani Sánchez returned to Cuba after spending the better part of the month of October traveling between Mexico and the United States - with time spent in New York City, Denver, Silicon Valley, and South Florida, along with a quick trip to Europe tucked in between. Her witty, hopeful, and penetrating presentation, "Disconnected Dissent," at the Google Ideas "Ideas Summit" (6:28 min.) is here (in Spanish with English subtitles). You can go here to view the panel she shared at Columbia University with three other quite brilliant and brave Cabot journalism award winners (click on "Covering Latin America: Past, Present and Future"). Here to see her conversation with my students at Baruch College (link to video coming soon!). Yoani Sánchez at Baruch College. Here to listen in on her engaging conversation at Stanford University's Program in Liberation Technology, "Reporting from Cuba: How Pixels are Bringing Down the Wall of Censorship." 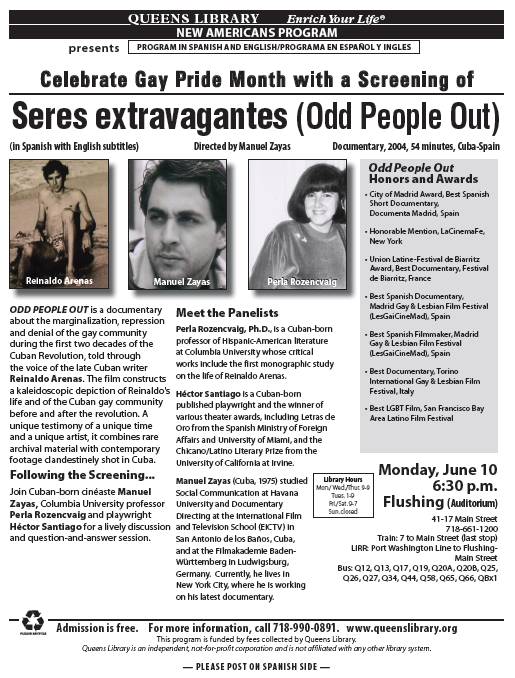 Here and here for coverage of yesterday's talk at Valencia College in Orlando (video stream of entire event here). And here to listen to her Google Hangout conversation with US diplomat Roberta Jacobson, conducted while Yoani was on the Google "campus" and Jacobson was in DC. A big H/T to the folks at Roots of Hope for their tireless and enthusiastic help in coordinating her trip to Silicon Valley and south Florida. 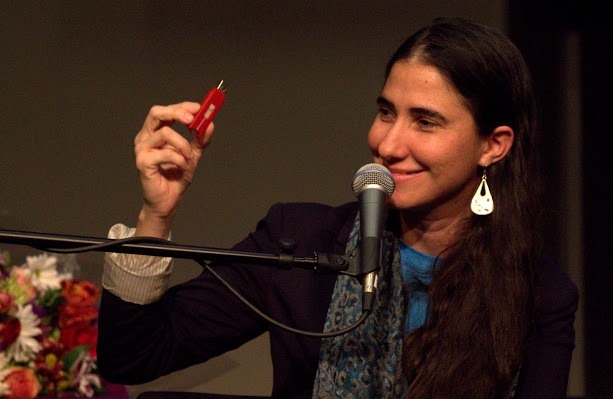 Just tonight Yoani reported via Twitter that upon arrival in Havana she was forced to run the gauntlet of humiliation from Cuba's customs agents, who went through all her things - including the digital files on her various gadgets and USB drives - with a fine toothed comb. She - and her husband Reinaldo Escobar who was traveling abroad with her for the first time - were eventually allowed to enter the country with all their belongings intact. However, they assume that copies of all the physical and digital files they carried with them are now in the hands of state security. (Cuba seems to be learning from the recent airport customs tactics of the US itself, which has subjected the documentary filmmaker Laura Poitras to similar shenanigans - treating the customs/immigration areas of international airports in the US with the same legal "creativity" as it does Guantánamo Bay Naval Base - but in this case targeting the digital documents of US citizens)! Good thing Yoani has continued her practice of radical transparency, never hiding and in fact repeatedly declaring her full intent to start a full-fledged digital newspaper in Cuba before the end of the year. "Well, more than a newspaper, we've really conceived of it as an exercise in democracy and journalism 2.0." "When you hear the name, you're going to say to yourself - 'that's what it had to be called'." A few important things I remember from her conversation with the Ambassador - which I repeat here on my blog only because I heard her say them again in different ways in many of her more public (and live-streamed or recorded) conversations at various universities and tech companies around the country (see above). Cuba can be characterized as caught between "the carrot of reforms and the stick of repression" and as a "train leaving the station." As she had done back in March on her first visit to New York, Yoani recognized on the one hand that the reforms were both positive and moving in the right direction (that is, toward the market and toward greater autonomy for the people). However, she also insisted that the reforms were far too timid (they can't even use the word reforms, using instead the euphemism "updating"), not being nearly fast or deep enough to meet the rising demands or increasingly desperate needs of the Cuban people. She explained that the reforms represent Raúl's "carrot" for the portion of the Cuban population that demands a better standard of living and an end to the myriad ridiculous prohibitions of economic freedoms, but that these reforms are also systematically coupled with with the "stick of repression" immediately used against anyone whose demands go beyond the piecemeal economic reforms seen to date and "touch the monkey" of urgently needed civil and political changes. In other words: We'll give you a bit of economic oxygen if you agree not to demand a political blood transfusion or a civil bone marrow transplant. (OK, these bad metaphors are my own, not Yoani's). 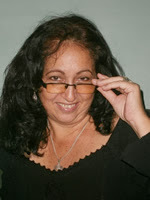 She also characterized the current situation in Cuba as a train leaving the station. She respectfully if pointedly rejected the notion that the reforms to date merely amounted to a "fraud," saying instead that the government has little choice but to enact them in an increasingly constrained domestic and international context - but is still trying to implement them in a way that maintains its top-down control and political power. "The train is moving far too slow. It is an old, rusty train full of parts that don't work. And, of course, we can't trust the engineer at the helm. He wasn't put there by the passengers. But instead of standing on the platform and insisting that the train is going nowhere, I want to be on the train so I can have an impact on its speed, how it works, give voice to how the passengers feel, and above all to take advantage of the movement - of the little cracks in the wall - to ensure that its destination is not the same tired, intolerant, and totalizing place where we have been headed for more than 50 years." Finally, as Yoani has said before, when Amb. Power asked her what she thought of US policy toward Cuba, she first described herself as a "popular diplomat," insisting that she has no other title or position that that of "citizen." Still when pressed, she urged for the continuance of Obama's policy of openness to greater back-and-forth travel, engagement, and people-to-people contacts as such policies are oxygen for the Cuban people and much like kryptonite to the the supposed superman of the Cuban state (again my metaphor), which much prefers an aggressive and isolationist enemy in the White House against which it can rail over a firm but open-handed president who refuses to let US policy be set by hard-liners in Havana (I would have added - "or in Miami or Washington" - but she didn't say that!). While Yoani was here in New York last week, and later as I followed her travels across the country to the HQs of Twitter, Google, and Facebook in Silicon Valley and to Stanford University earlier this week, and to Orlando's Valencia College yesterday, she also gave voice to the idea that upon her return to Cuba she will be putting the finishing touches on a collective digital newspaper project. She contrasted this new "endeavor of collaboration" with her original (and on-going) project of personal reflection, idiosyncratic reportage, and intentionally subjective "catharsis" - her blog, Generación Y. "not that of the entomologist, who looks down on the ant colony from above; writing in her fine notebook filled with white pages while down below, the ants live, kill, and die." But instead, to "engage each day in a better kind of journalism, from within the ant colony, from to point of view of the ant." What follows is her acceptance speech - first in my English translation followed by her original Spanish. 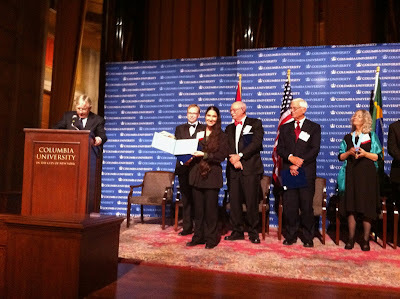 Columbia University President Lee Bollinger presenting Yoani Sánchez with her special Maria Moors Cabot citation, flanked by Steve Coll, dean of Columbia's School of Journalism, Josh Friedman, chair of Cabot awards, and a member of the Cabot family. Tonight, being together with you, I want to recall the mixture of feelings that overcame me four years ago when I found out that I had won a special mention from the prestigious Maria Moors Cabot prize. As is always the case when someone gets such good news, my first sensation was one of joy, happiness, the desire to call all my friends to share the news. Then I started to imagine attending the award ceremony, sharing the words that I deliver tonight and receiving in my hands the prize medal. Nevertheless, the longest-lasting impact that winning this distinction has had - after the initial euphoria passed - was one of responsibility. The responsibility of knowing that I am exercising journalism within a very battered society. In a country where a strict control over information has been erected as one of the most important mechanisms of political control. A society of barricades, where sharing one's opinion, reporting, doing an interview can immediately tar one as untrustworthy, as someone to be spied on and silenced. But, as in any society rife with censorship, I perform journalism in a nation where a simple chronicle, an op-ed column, or even a brief article of reportage also has the power to reveal reality, to liberate. I have never understood the role of a journalist to be that of the entomologist who looks down on the ant colony from above. Writing in her fine notebook filled with white pages while down below, the ants live, kill, and die. I am an ant and I want to write about life in the ant colony from within. Like so many other Cubans, I have preferred to live and write, to breathe and blog, to walk and tweet, to be and also to narrate what I am and what surrounds me. This commitment brings with it a great responsibility, one that I felt with the greatest force when Columbia University honored me with this prize. The responsibility to commit myself to help mend through words, what has been erected on a foundation of shouts and slogans. The responsibility to assure that the press contribute to finding solutions, to generate all those debates that we haven't been able to have in Cuba for decades. The responsibility to rescue those moments of history that were stolen from us. The responsibility to refuse to remain silent in a country where the mask is always more convenient and advisable than using one's own voice. In sum, the responsibility to engage each day in a better kind of journalism, from within the ant colony, from to point of view of the ant. This year's Cabot awardees: Donna DeCesare (US-El Salvador), Jon Lee Anderson (US), Mauri Konig (Brazil), Alejandro Santos Rubino (Colombia), and Yoani Sánchez (Cuba). Quiero hoy recordar junto a ustedes la mezcla de sentimientos que me embargó cuando hace ya cuatro años supe que había ganado una mención de este prestigioso premio María Moors Cabot. Como siempre ocurre cuando alguien recibe una buena noticia, la primera sensación fue de alegría, felicidad, deseos de llamar a todos los amigos para contárselo. Después sobrevino una fase en que me imaginé en la ceremonia de premiación, diciendo estas palabras que hoy pronuncio y tomando entre mis manos la medalla del galardón. Sin embargo, el efecto más duradero –después de la euforia inicial- pasó a ser la responsabilidad. La responsabilidad de saber que estoy ejerciendo el periodismo desde una sociedad muy lastimada. En un país donde el estricto control sobre la información se ha erigido como uno de los más importantes mecanismos de poder político. Una sociedad de barricadas, donde opinar, reportar, hacer una entrevista puede ubicarte inmediatamente en el terreno de los no confiables, de los que hay que observar y acallar. Pero también, como en toda realidad llena de censura, hago periodismo en una nación donde una simple crónica, una columna de opinión o breve artículo pueden generar efectos de revelación, de liberación. Nunca me ha gustado ver al profesional de la prensa como el entomólogo que mira al hormiguero desde arriba. Escribe en su impecable cuaderno de hojas blancas mientras allá abajo, las hormigas viven, matan, mueren. Yo soy una hormiga y quiero narrar el hormiguero desde adentro. Como tantos otros cubanos, he preferido vivir y escribir, respirar y bloguear, caminar y twittear, ser y también narrar lo que soy y lo que m rodea. Eso entraña una gran responsabilidad, que sentí con mayor fuerza cuando la Universidad de Columbia me agasajó con este premio. La responsabilidad de comprometerse a ayudar a enmendar con la palabra, lo que se ha levantado a base de gritos y consignas. La responsabilidad de que la prensa contribuya a encontrar soluciones, a generar todos esos debates que no hemos tenido en Cuba por décadas. La responsabilidad de rescatar esos momentos de la historia que nos fueron arrebatados. La responsabilidad de no callarse en un país donde la máscara siempre es más cómoda y más recomendable que la propia voz. En fin, la responsabilidad de hacer cada día un mejor periodismo, desde dentro del hormiguero, desde la óptica de la hormiga. 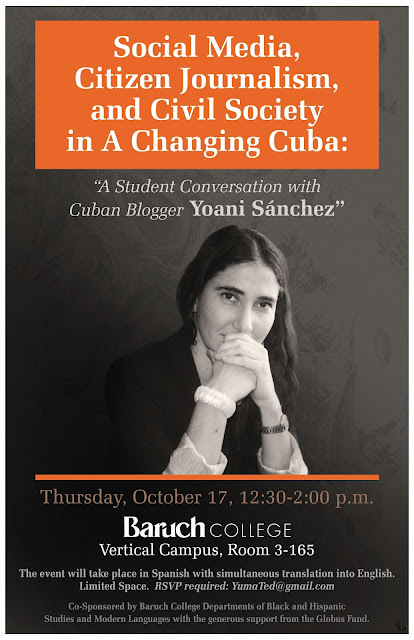 Yoani Sánchez to visit Baruch College, Thursday, October 17, 12:30 p.m. 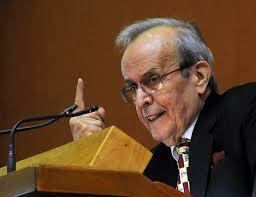 The brave, sharp-minded, soft-spoken & fiercely independent economist Óscar Espinosa Chepe died this morning in Spain. He was a great light of critical reason for Cuba and he and his deep socio-economic and political analysis will be sorely missed at this critical time in the nation's history. 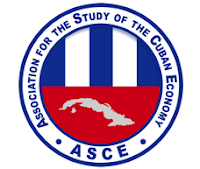 The Association for the Study of the Cuban Economy - of which he was a long-time member and proud participant - mourns his passing and celebrates his great contribution to our ongoing work. He has left us but his exemplary work and fine legacy remain. 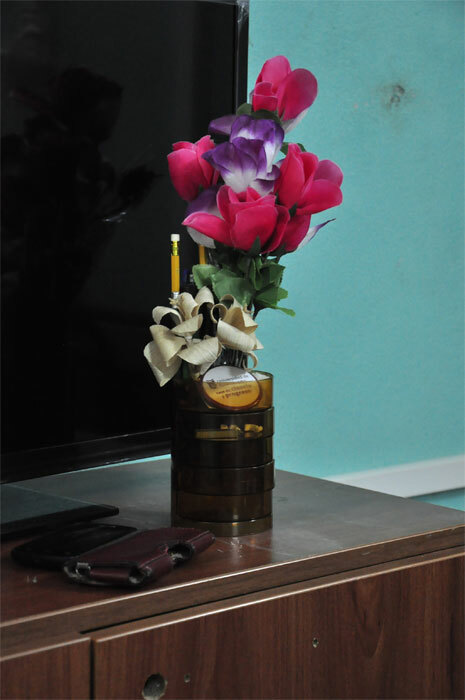 Photo from a May, 2009 visit to Oscar and Miriam's book-filled apartment in Havana. Obituary from the Associated Press. HAVANA (AP) -- Oscar Espinosa Chepe, a high-level Cuban economist and diplomat who broke with Fidel Castro's government in the 1990s and was imprisoned for dissident activities, died in Spain Monday. He was 72 and had been hospitalized for a liver ailment. 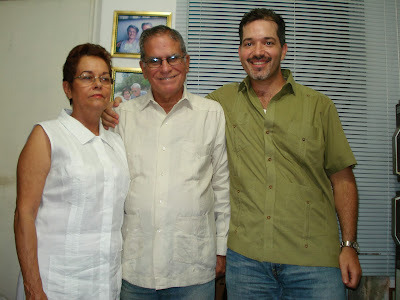 Espinosa died in Fuenfria Hospital in Cercedilla, just north of Madrid, according to The Cuban Human Rights Observatory. The group said he had been in Spain since March receiving treatment. Espinosa was one of 75 writers and political activists locked up in 2003 during the Black Spring, a notorious crackdown on dissent that provoked international criticism and EU sanctions lasting five years. 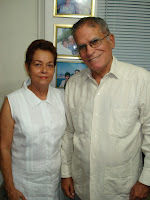 Little known at the time of his imprisonment, Espinosa was sentenced to 20 years but released after 19 months on medical humanitarian grounds, on his 64th birthday. By then his name was more familiar, in part thanks to the work of his wife, fellow dissident Miriam Leiva, who helped found the Ladies in White protest group to press for their husbands' release. 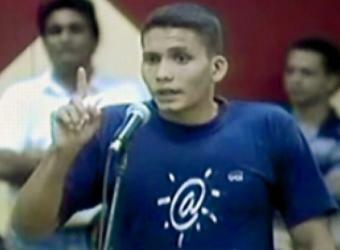 Espinosa said the government had made a mistake by locking him and the others up, and vowed they would not be silenced. 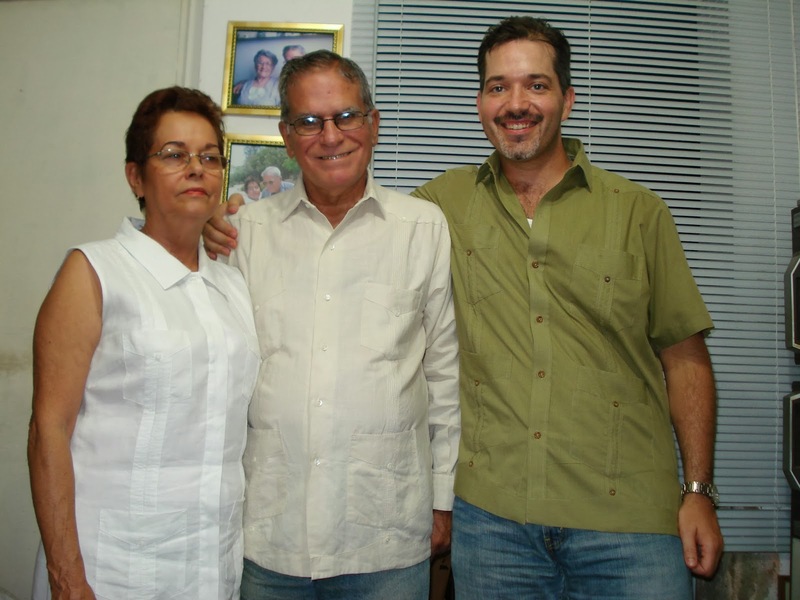 The Cuban government frequently accuses island dissidents of accepting money from Washington to undermine the government, but Espinosa frequently denied being a "mercenary." "We are non-violent people who have not committed any crime," he told reporters in November 2004 at his and Leiva's tiny Havana apartment, always overflowing with the books, papers and statistical reports they used to write about Cuba's complex and troubled economy. Espinosa had suffered from liver problems for years and in the early 2000s was diagnosed with cirrhosis. He was hospitalized with liver troubles in August 2012. "My health problems are from before I was imprisoned, but the conditions of the prison contributed to making them worse," Espinosa told The Associated Press shortly before he traveled to Spain for medical treatment. Gray-haired and soft-spoken, "Chepe," as he was commonly called, was known for fixing his gaze firmly on whomever he was talking to and repeatedly adjusting his spectacles as he spoke. He was born Nov. 29, 1940, in the central province of Cienfuegos, and along with many of his generation was infused with revolutionary fervor following Fidel Castro's 1959 Cuban Revolution. He graduated with a degree in economics from the University of Havana in 1961 and began a long career of mid- and high-ranking posts in the government, including as counselor to then-Prime Minister Castro in the `60s and later as head of the powerful Office of Agrarian Reform. Espinosa also was a member of the State Committee for Economic Collaboration, specializing in a handful of Soviet bloc nations, and did a stint as Cuba's economic attache in Yugoslavia. He took up a position at the National Bank of Cuba upon his return in the 1980s, but increasingly found himself at odds with government policy. According to Espinosa's account, in the early 1990s, after voicing disagreement with the country's economic policies, he was denounced by a colleague, publicly sanctioned and ultimately fired. From his later writings, it was clear that Espinosa believed the Communist government wielded excessive control over the economy and he was a strong critic of corruption and bureaucracy. He reinvented himself as a writer about the Cuban economy, publishing articles and books in the United States, Spain and elsewhere, and doing some work for Radio Marti - U.S.-funded broadcasts aimed at Cuba that Havana bitterly objects to as an intrusion on its sovereignty. However Espinosa also vocally opposed the U.S. embargo and economic sanctions against the island, saying it gave the Cuban government an excuse for its shortcomings and the restrictions it placed on Cubans. Espinosa's independent, critical voice touched a generation of Cuba scholars around the world, one colleague said in a prologue to his book. "Oscar's admirable labor in his numerous, documented and brave works on the economy and social aspects in Cuba have inspired and influenced the work of many Cuban economists in the exterior," the U.S.-based economist Carmelo Mesa Lago wrote. Espinosa's death is the third significant loss for Cuba's tiny community of outspoken dissidents in as many years, following the passing of Ladies in White co-founder Laura Pollan in 2011 and Varela Project author Oswaldo Paya the following year in a car wreck. Associated Press Writer Ciaran Giles contributed to this report from Madrid. 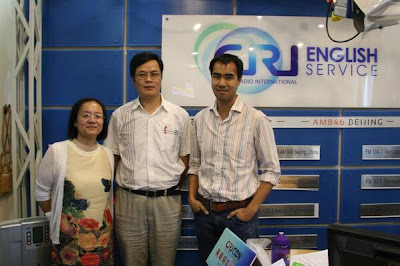 Last night I had the honor of accompanying distinguished professors Carmelo Mesa-Lago (who needs no introduction) and Jiang Shixue, Vice President of the Chinese Association of Latin American Studies, on the China Radio International English Service show "Today," with co-hosts Zhao Yang and Ben Leung (I love it when someone from China sounds like they are from Britain). Above is a photo from the Beijing studios, while Carmelo participated via telephone from Pittsburgh and I from NYC. With all the hullabaloo about this new-fangled "Inter-Web," we sometimes forget the power of the good ole radio. 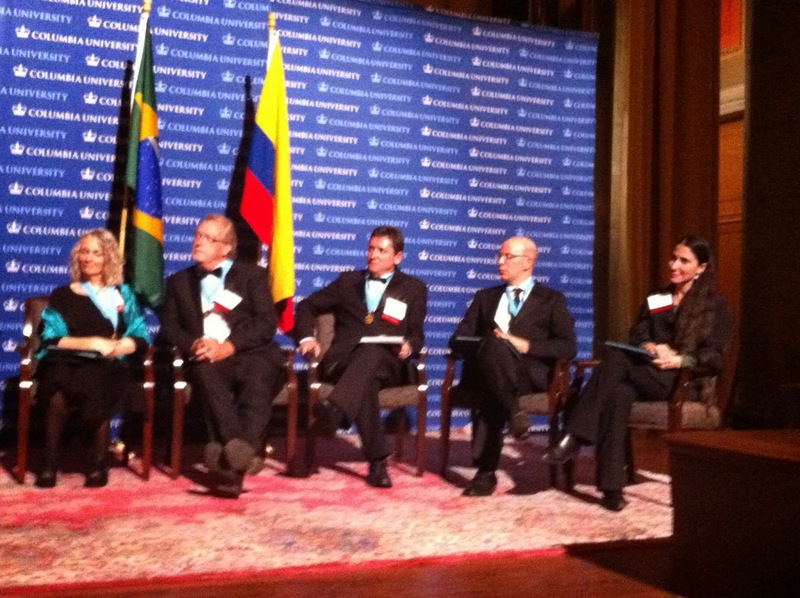 Panel discussion:When asked about Cuba- what springs to mind? Cuban cigars? Rum? Fidel Castro? Maybe Communism? 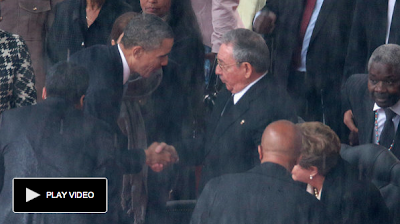 Well, cigars and rum are very much here to stay whatever the weather; Castro is getting on but is still there. Communism, on the other hand, the raison d'etre of the state of Cuba as we know it, well, that's looking a bit more tenuous now than say, 10 years ago. It seems incredible to me that it took Ricardo Alarcón 5 years to respond publicly to Eliécer Ávila given that Ávila was thrown under the nearest bus after his impertinent questioning of the then President of Cuba's National Assembly. Alarcón says that he was prevented from responding earlier by unnamed powers that be. "Thanx to our self-censorship, they prevented me from making my arguments while they gave arguments to him (...) For me that was very painful because with that I was out of the game, and I will die with this hanging over my head." Believe me, I've heard Alarcón speak in public and he's not easy to get the best of in an open debate. But in this case, he was caught defending the indefensible and - as he says - will be remembered for the "sky filled with planes" argument. In less than three weeks, the 23rd annual conference of the Association for the Study of the Cuban Economy, will kick off for a three-day marathon of panels, receptions, debates, and discussions from August 1-3 at the Miami Hilton Downtown. You can register yourself, and pay via PayPal. Given recent changes in Cuba's migration laws, the organizers of the conference (including myself) have been working hard for months to bring in a record number of participants from the island itself. The young scholar Armando Chaguaceda, who will be coming in from the University of Veracruz where he works. It is also likely that we will once again benefit from the informed analysis of Oscar Espinosa Chepe, but via teleconference from Spain where he is receiving medical treatment. We will also benefit from the presence and participation of a number of recently immigrated Cuban scholars, including Nora Gámez and Abel Sierra Madero, whom I met at the recent FIU CRI conference and at LASA. Of course, I have left out many other attendees such as ASCE stalwarts - like Carmelo Mesa-Lago and Jorge Pérez-López - as well as this year's keynote speaker Harvard labor economist, Gorge Borjas, but my intention here is to emphasize our efforts to grow the organization and make it ever more inclusive and dynamic. The organizing committee also invited a number of other economists, scholars, and intellectuals who work in Cuban educational and research institutions. 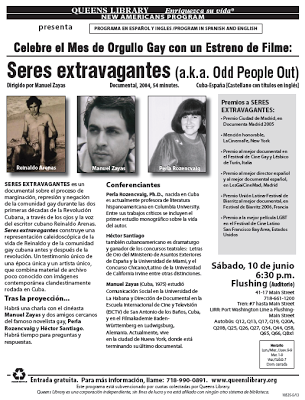 Unfortunately, none besides Leyva Cruz and Marrero is able to attend this year. But we have let them know both publicly and privately that our doors remain open as we value their scholarship and would benefit from their participation. In order to encourage greater graduate and undergraduate student participation, we have SLASHED the price of registration for all students (and recent graduates) by 95%. Student can register here for just $10! 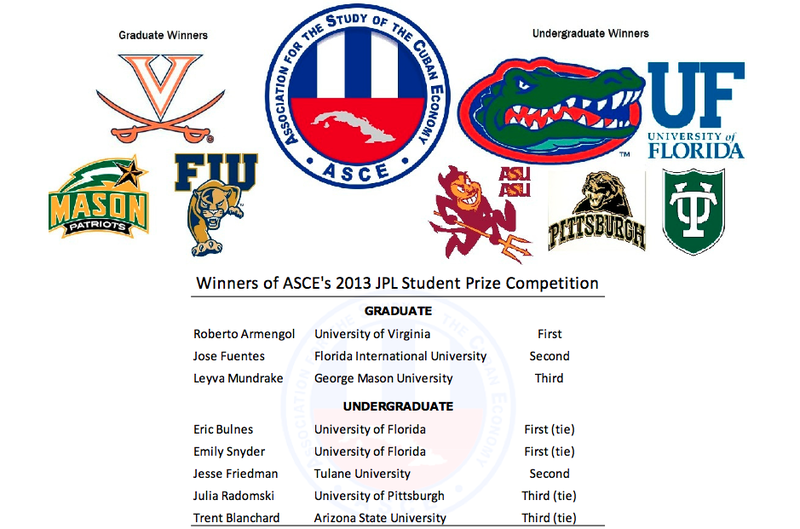 One of the cornerstones of ASCE’s outreach to young scholars is the Jorge Pérez-López Student Prize, which awards the author of the best undergraduate and graduate paper on Cuban economic issues with a cash award, travel and lodging costs to attend and present their work at ASCE’s annual conference, one year of ASCE membership, and publication in Cuba in Transition. This year we received a record number of submissions from two dozen universities in Cuba, the United States, Canada, and Europe! 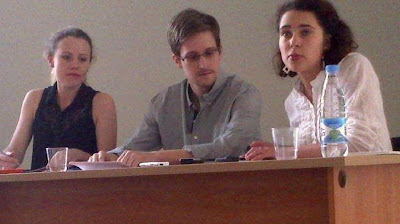 Edward Snowden, center. At left is WikiLeaks' Sarah Harrison. The woman at right is unidentified at this time. Photo is courtesy of Human Rights Watch, via NPR. "I ask for your assistance in requesting guarantees of safe passage from the relevant nations in securing my travel to Latin America, as well as requesting asylum in Russia until such time as these states accede to law and my legal travel is permitted. I will be submitting my request to Russia today, and hope it will be accepted favorably." Must watch: "Redes.Cu" - Excellent new mini-doc about Internet in Cuba! 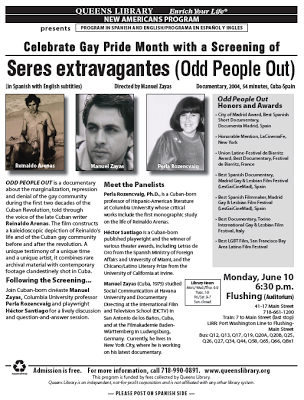 Directed by David Vázquez Abella, this brand new documentary entitled REDES.CU profiles the daily struggles of three young Cuban professionals to get and stay connected to the web. H/T Penúltimos Días. El próximo viernes estará con nosotros el destacado periodista independiente y opositor cubano Guillermo (Coco) Fariñas, premio Sakharov 2010. Fariñas salió de Cuba en el marco de la Ley Migratoria promulgada en Cuba en enero del presente año y su propósito principal es el de dar a conocer ante el mundo la falta de libertad y democracia que hay en nuestra patria y los esfuerzos que se están haciendo para cambiar dicha situación. Antes de finalizar el acto habrá un espacio de preguntas y respuestas. pensando entrar en la red. Thanx to Natalie Kitroeff for shining a light on this fascinating part of the emergent Cuban blogosphere and civil society. Reading my quotes below (which are accurate) makes me reflect that this group of what I refer to as “silent dissidents,” are neither very silent nor do they consider themselves dissidents - if the term is understood to mean that they are against the government or against socialism. However, they do constantly dissent from official policies - even if they often do so very carefully - "rattling the chain" of reform, while not "touching the monkey" of the system itself - as the Cuban saying goes. Also, while I say that: “Their big problem is that they’re constantly biting their tongue.” Such caution might just be their particular solution, allowing them to be able to express criticism and keep their day jobs in a polarized political context. And go here for the backstory from NPR. Welcome Eliécer Ávila: Meet & Greet @ Baruch College, NYC 4-6 p.m., Thurs. May 2 - RSVP now! We've been having quite a different kind of "Cuban spring" here in NYC this year! Following April's historic visits of Yoani Sánchez and OLPL to the Big Apple, this week I have the honor of hosting the 27-year Cuban old computer engineer and activist Eliécer Ávila. He arrives to JFK on Tuesday afternoon, April 30. We have set up an informal "meet & greet" for him at Baruch College, this coming Thursday, May 2, from 4-6 p.m. just following his visit to my "Sociology of the Internet" class. If you'd like to come and welcome him, or even ask him some impertinent questions like the ones he posed 5 years ago to Ricardo Alarcón, launching him on his still-unfolding odyssey, you can RSVP by sending me an e-mail at yumated@gmail.com. I have been meaning to email you to say thank you. I appreciate the time that you took and the interest you showed in helping me to get a ticket for the Yoani Sánchez event at the Freedom Tower. As you may recall, I ended up getting two tickets. "Had she read Vaclav Havel’s El Poder de Los Sin Poder?" I asked. "Yes, . . . of course," she responded. I thought she was absolutely, incredibly, 110% terrific. She is extremely well-spoken, poised and composed. She’s determined and focused, warm and genuine. She won us over!!! Big time! She did not have to say much to win me over, but for those (few) who had their doubts about whatever, she was impressive. I really liked her spirit of reconciliation. Central City, New Orleans, March, 2013. 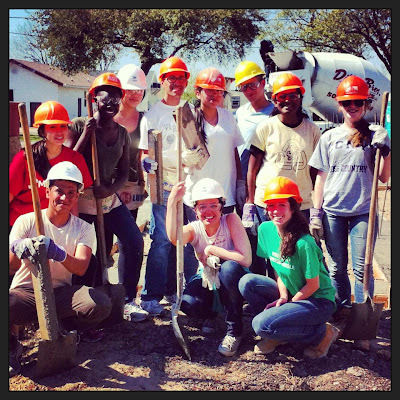 For the sixth time since 2007, during Spring Break I led a group of 14 of my students on a 10-day service-learning adventure in New Orleans, Louisiana. 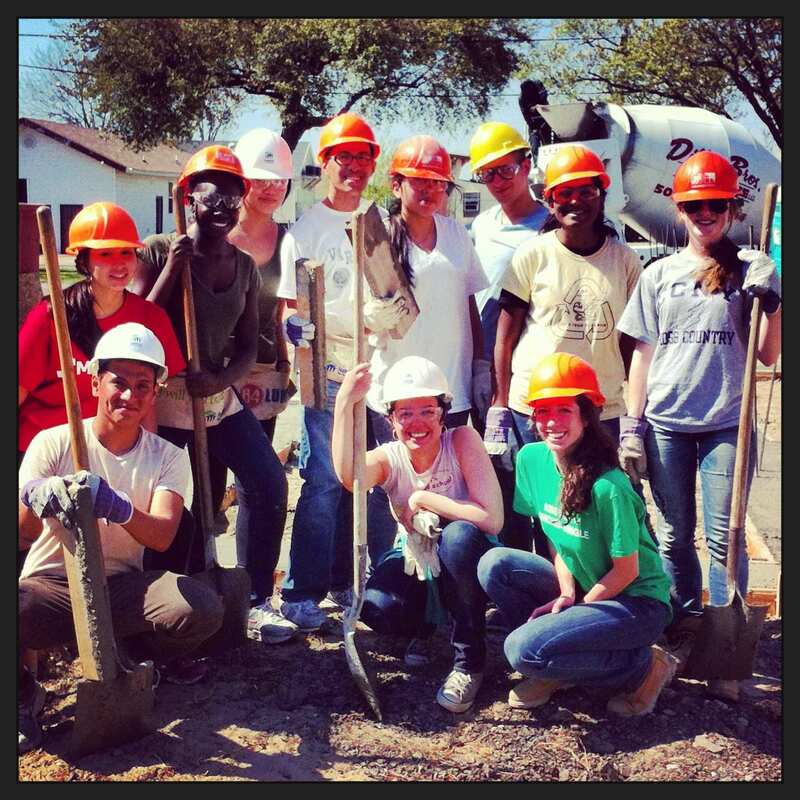 As part of my honors class at CUNY entitled, “The City that Care Forgot: The Roots, Ruin, and Rebirth of New Orleans," we all visited the “Big Easy” from Friday, March 22, through Tuesday, April 2, working on rebuilding projects with Habitat for Humanity and harvesting vegetables at Grow Dat Urban Youth Farm. My students and I also took levee and "human geography" tours of the city, visited the swamps at Barataria Preserve, rode the St. Charles Street Car, evaluated the progress of Brad Pitt’s Make It Right Foundation in the Lower Ninth Ward, and even learned how to Zydeco at the famed Mid City Lanes Rock 'n' Bowl! What follows are a series of reflections on the trip written by the students themselves. Josh Freedman and Mirta Ojito of the Columbia University School of Journalism. 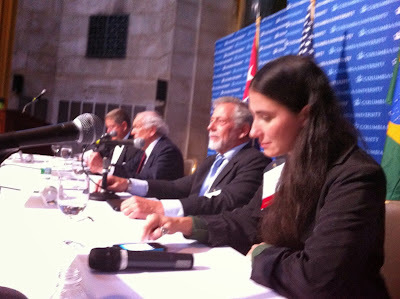 What I have begun below and will continue in a series of subsequent posts is to create a digital archive of the heady and historic week of March 14-21 when I played host to Yoani Sánchez and Orlando Luis Pardo Lazo in New York City and Washington, DC. Given that we covered so much ground visiting a half-dozen universities (Columbia, New School, NYU, Cardozo, Georgetown, and CUNY), did scores of interviews (CNN, CNBC, PBS, NPR, NYT, NY1, NTN, etc.) and sit downs with editorial boards (Bloomberg, WSJ, and WaPo), made various presentations at assorted think-tanks (Americas' Society, Cato, and Brookings) and human rights organizations (Committee to Protect Journalists), and paid visits to a hand-full of government institutions such as the Czech Embassy, the US Congress, the OAS, and the UN, I think it valuable to provide a detailed listing of our day-by-day activities, with embedded videos and photos of public events with links to key articles from the many interviews. That way, there will be a one-stop place to get a day-by-day summary of all the events from that week. Let's begin with the conversation Sánchez had (via LiveStream) with Mirta Ojito of the Columbia University School of Journalism followed by a Q&A with Columbia students. Ojito is a former Pulitzer Prize winning New York Times reporter and the author of Finding Mañana, a memoir of the Mariel Boatlift. 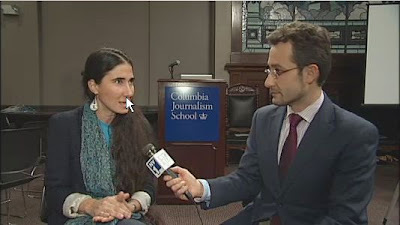 She previously interviewed Yoani via phone in December 2011 for the episode, "Tweeting Under Castro," as part of Columbia's J-School BlogTalkRadio series. *Andres Correa of the Venezuelan newspaper El Universal interviewed Sánchez (audio on SoundCloud). In the interview she discusses the challenges facing Venezuela and the Venezuelan opposition. She also acknowledges that Venezuela is heading down the road that Cuba is now walking away from. *Part I: Yoani Sánchez: "Venezuela está entrando donde Cuba va de salida." *Part II: Yoani Sánchez: Una espina clavada en el pie. *An exclusive international Telemundo Interview, with other good coverage from Miami Telemundo reporter Maria Montoya here, here (also with Orlando Luis Pardo Lazo), and here. *A report for CNBC by their chief international correspondent Michelle Caruso-Cabrera. Yoani Sánchez and Juan Manuel Benítez. *New York 1 - Noticias - Pura Política: Entrevista Exclusiva con Juan Manuel Benítez (but you need Time Warner Cable to view it). If you do have TWC you can see some of Benítez's past coverage and interviews with Sánchez via telephone from Havana here. *Huffington Post - Roque Planas, "Yoani Sanchez, Cuban Blogger, Plans Independent Newspaper Online." After Yoani herself, Planas is my go-to Twitter feed (@RoqPlanas) - over 3,800 Tweets and counting - for a wide variety of news related to Latinos in the US. His updates are smart, constant, comprehensive, and full of wit and wisdom. *The Guardian - Gizelle Lugo, "Yoani Sánchez: dissident Cuban blogger hopeful of digital change." Lugo is a stand-out former student of mine who now works for both the Guardian and the Nation. I reached out to her for what turned out to be her first solo-authored exclusive interview - a very good one at that! 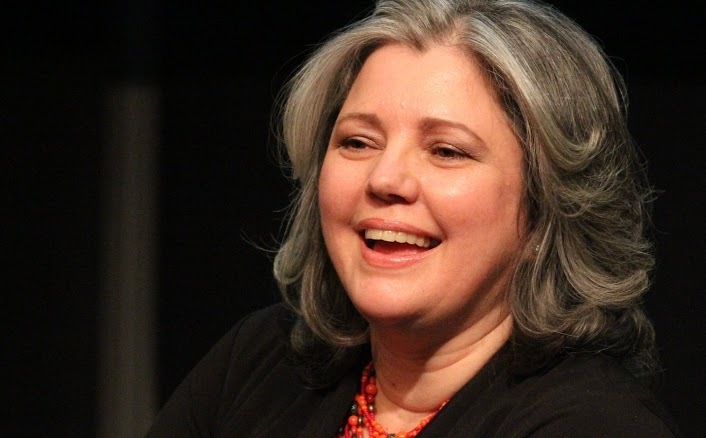 *Florida Center for Investigative Reporting - Tracey Eaton, "Cuban Dissident Blogger Tours the US" - article and video in English and Spanish). Eaton is a good friend, former Dallas Marning News correspondent in Havana, and fellow blogger who was also kind enough to post 152 of is photos (many of them very good like the one to the left) from Sánchez's visit to New York. Interview with Cuban blogger Yoani Sánchez from Tracey Eaton on Vimeo.